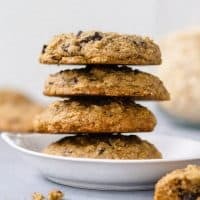 Lactation cookies might sounds strange to all but a small portion of you who are moms who nursed their babies, but for that select group, lactation cookies are worth their weight in gold. Moms-who-nurse/d, you know what I’m talking about. 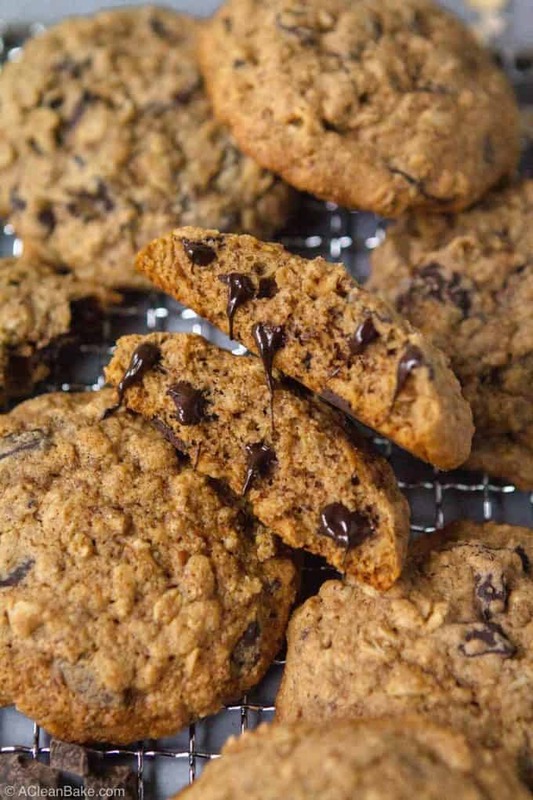 For the rest of you: “gluten free lactation cookies” is just an obtuse way of saying oatmeal chocolate chip cookies with a few extra ingredients that you’ll never notice. When a good friend recently had a baby, and was in those magic new mom days that are characterized by sleep deprivation, ravenous hunger, and being surprisingly preoccupied with your milk supply, I wanted to help. I couldn’t give her more sleep, but I could feed her in a way that would both curb her hunger and (supposedly) relieve some of her worries about milk production. Just feel like I should mention: I hope no one is uncomfortable with me talking about breastmilk! It turns out that nothing makes you more blasé about stuff you were once kind of squeamish about like having a baby. The catch? We’re both gluten free eaters, and it’s surprisingly difficult to find a gluten free lactation cookie recipe out there, harder to find a good one, and harder still to find one that doesn’t contain gluten free flour or brewer’s yeast – two ingredients I don’t stock in my kitchen normally, and didn’t want to buy a whole bag of. So what’s in a gluten free lactation cookie? Making this cookie is really not different from any other cookie. 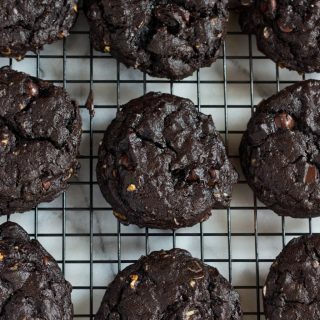 You have your flours, sweetener, baking soda, and sea salt; your eggs, vanilla extract, and fat; your rolled oats and dark chocolate chips, of course; and a few other normal pantry ingredients. Mix it all together in a large bowl, fold in some chocolate, scoop the cookie dough onto a baking sheet, and bake. But what’s not in the cookie? Strange ingredients like brewer’s yeast (a common ingredient in lactation cookies), that you’d have to track down, then buy a whole bag, only to use a few tablespoons of. Keep reading to find out what I replaced it with. So, what kind of flour does this cookie use if not gluten free AP flour? Like I said, many gluten free lactation cookie recipes out there call for gluten free all purpose flour, which I typically don’t have on hand. My version uses a mix of gluten free oat flour (which you can make yourself) and tapioca (or arrowroot) flour. Are these cookies sugar free? They are not sugar free. The cookies are naturally sweetened with coconut sugar and maple syrup, which caramelizes slightly in the oven, giving the cookies a slightly deeper flavor than you’d get with white sugar (it’s the same effect brown sugar has in conventional baking). What kind of fat do I use? or Are these cookies dairy free? I use coconut oil as the fat in this cookie, but if you prefer, you can use grass-fed butter. Aren’t oats unsafe for gluten-intolerant people? Most oats are, yes. Although rolled oats are naturally gluten free, there is a very high risk of cross contamination in the factory where they are processed and packaged. To be safe, make sure you are using oats marked certified gluten free and/or purity protocol. Bobs Red Mill’s gluten free rolled oats are very reliable, but there are others. How is a lactation cookie different from a regular cookie? Fair question: it’s really not any different, except for a few extra ingredients, which only have an effect on nursing moms. For everyone else, these are just really good oatmeal cookies. I hope I haven’t insisted so much that you’re starting to think this is actually just some BS cookie masquerading as a lactation cookie. 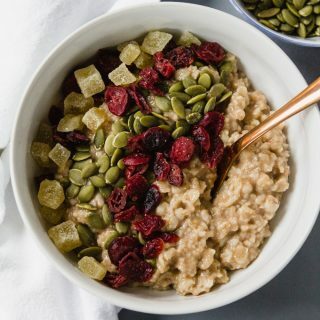 Because the difference between this and a normal oatmeal chocolate chip cookie lies in the addition of a few un-spectacular ingredients that, for breastfeeding moms, can work wonders. It’s a silly word that no one except moms struggling to produce enough breast milk for their babies knows. Galactagogues are foods that are said to help increase milk supply in nursing women. But, for everyone else, they’re just normal foods. Oats are the go-to. Ask any nursing mom what she’s supposed to eat to keep her supply up, and she’ll tell you she’s eating her weight in oatmeal. 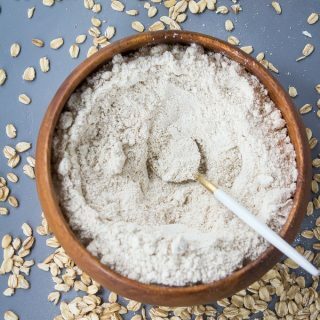 Brewers yeast is another commonly-referenced galactagogue, but I didn’t include it in this recipe, because it’s hard to find and I don’t want to stick you with a whole bag of brewer’s years, minus a couple tablespoons, that you don’t know what to do with. Luckily, there are other, more familiar ingredients which are also said to help nursing moms (especially those with low supply) feed their babies. 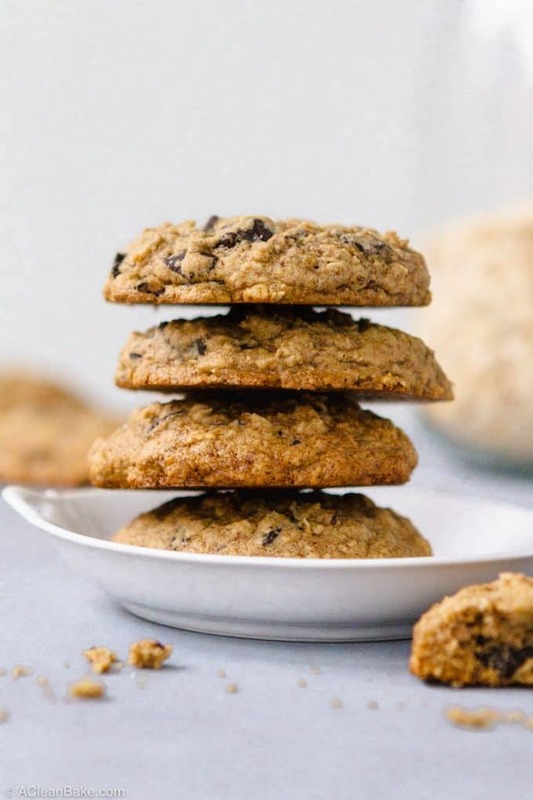 Almonds, flax (in the form of flaxseed meal/flax meal, or ground flaxseeds), and coconut (in the form of coconut oil), are three every day ingredients that are included in this cookie to give it more “lactation cookie” cred. You can also add in coconut flakes or shredded coconut, if you want to. So, if you’re a gluten free nursing mom, you have every reason to make a batch of these immediately. If you aren’t a nursing mom, this is your cue to make two batches: one for yourself, and one for a tired, hungry, nursing mom friend who will really, really appreciate you. 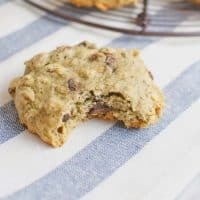 Gluten Free lactation cookies are simply a really good oatmeal chocolate chip cookie with a few extra ingredients that have magical powers for nursing moms! Preheat the oven to 350°. Line 2 large baking sheets with nonstick pads or parchment. Set aside. In a large bowl, whisk together the oat flour, tapioca flour, coconut sugar, flax meal, almond flour, baking soda, cinnamon, and salt until well combined. Then mix in the oats. Set aside. In a medium mixing bowl, whisk the eggs, then whisk in the maple syrup, oil, and vanilla extract. Pour the egg mixture into the dry mixture and stir until very well combined. Use a spoon or cookie scoop to divide the dough into 24 portions (about 2 heaping tablespoons of dough per cookie), and roll each one into a ball. Place the dough balls on the prepared cookie sheets, 12 cookies per sheet. If you like flatter cookies, flatten each dough ball slightly with the palm of your hand. Bake 11-14 minutes, until the cookies have spread and the edges are crisp. Cool on the baking sheet for 10-15 minutes before transferring cookies to a rack to cool completely. Tapioca flour is sometimes called tapioca starch. You can use arrowroot flour instead of tapioca flour if you have it. Flax meal, aka flaxseed meal, is finely ground flaxseeds. You can use raw almond meal or blanched almond flour here, but blanched almond flour is preferable. This recipe was loosely adapted from Primal Palate. Store leftovers in an airtight container at room temperature for up to three days, or in the freezer for up to three months. You won’t believe how quick and easy it is to make your own oat flour at home. This is the cheapest and fastest way to make this gluten free staple flour! Add this refrigerator oatmeal to your breakfast rotation! It’s a make-ahead batch cooking recipe that finishes up in the fridge while it waits for you. Plus, it’s vegan and gluten free – but don’t forget to use certified gluten free oats, to be sure! These double chocolate cherry oatmeal cookies have a crisp outer shell that is SO satisfying to bite into, and contain a soft and gooey center that melts in your mouth. The sweetness of the chocolate chips and cherries balances out the super dark chocolate flavor of the cookie dough itself. 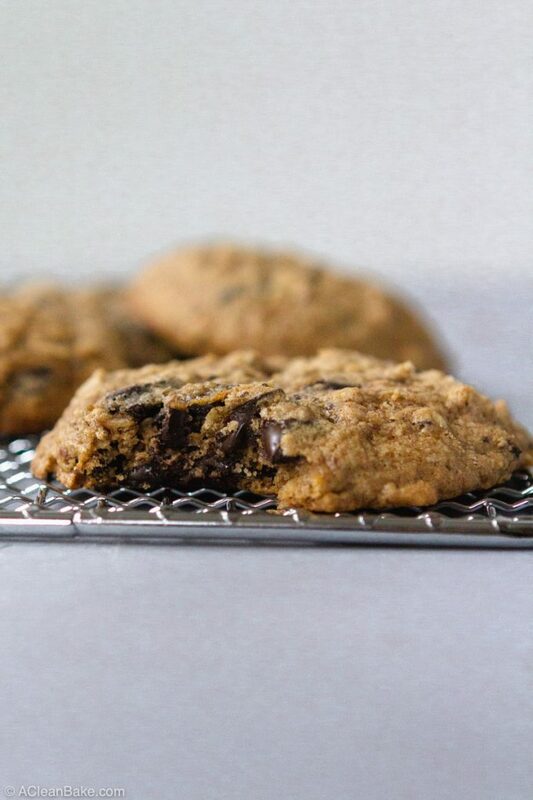 They're chewy and hearty, the way a good oatmeal cookie should be, yet still pillowy-soft. 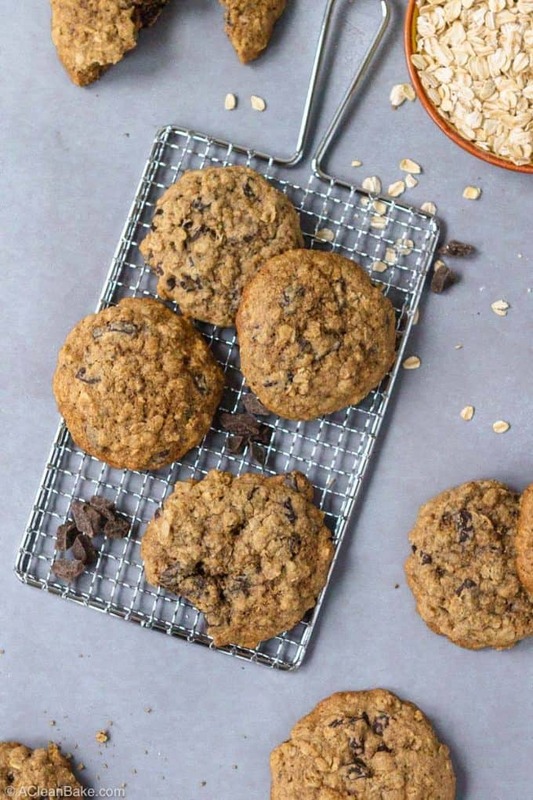 They are packed with nutty whole rolled oats, chewy raisins, smooth chocolate chips, and crunchy walnuts, so you get lots of flavor and texture in every bite. And best of all, they are SO easy to make! And if you’re a nursing mom looking for more ways to keep up your supply, try my all-natural ultra-hydrating pink drink! Skip the coffee shop and try this homemade pink drink recipe instead. 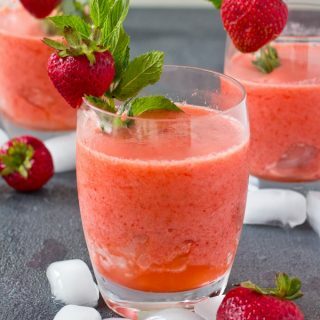 This ultra-hydrating beverage is as easy and delicious as it is beautiful to look at! My homemade version is low in sugar and made with fresh fruit. Skip the coffee shop and try this homemade pink drink. This ultra-hydrating beverage is as easy and delicious as it is beautiful to look at! My version is low in sugar and made with fresh fruit. 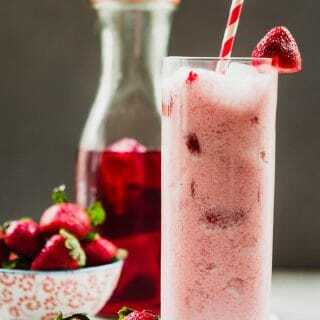 This refreshing mocktail is refreshing and hydrating! Plus, it's all natural, and sugar-free. I had never heard of lactation cookies, but I’m super curious. Will sure try them! When my milk supply went down, I was desperate to find some way to increase it again. I found this recipe online and baked it today, it is delicious! You can’t even tell it’s gluten free. I’ll have to give an update on how it affects my milk supply. Looking forward and feeling hopeful to seeing its effects. I give it a four star, as the ingredients are a little meticulous. Just curious, what do you mean about the ingredients being meticulous? I’m always looking to improve and simplify recipes! It would be better to just leave it out! I had the same question! 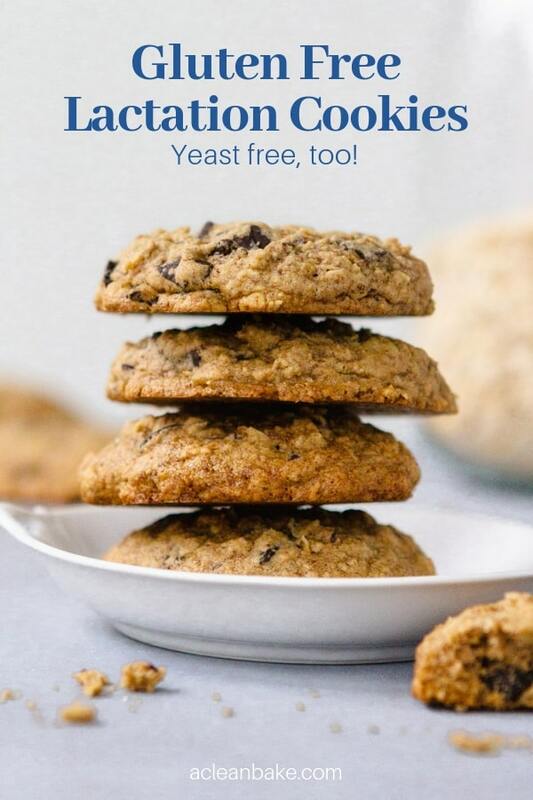 (So hard to find but free, gluten free baked goods recipes) So we shouldn’t use more of the oat flour or tapioca starch in it’s place? Nope, I’d suggest just leaving it out!